I'm Ken, a New York City based commercial photographer who specializes in telling stories of the startup and tech industries. Click on the links below to view some of the typical things I capture on a shoot. From standard headshots to environmental portraits with one person or more, shooting on location or in a studio, I will help you look your best and allow your personality to shine. Capturing a company's culture is my favorite part of the job. I get to highlight what makes your company unique by using my photojournalistic skills to capture candid moments that define you. 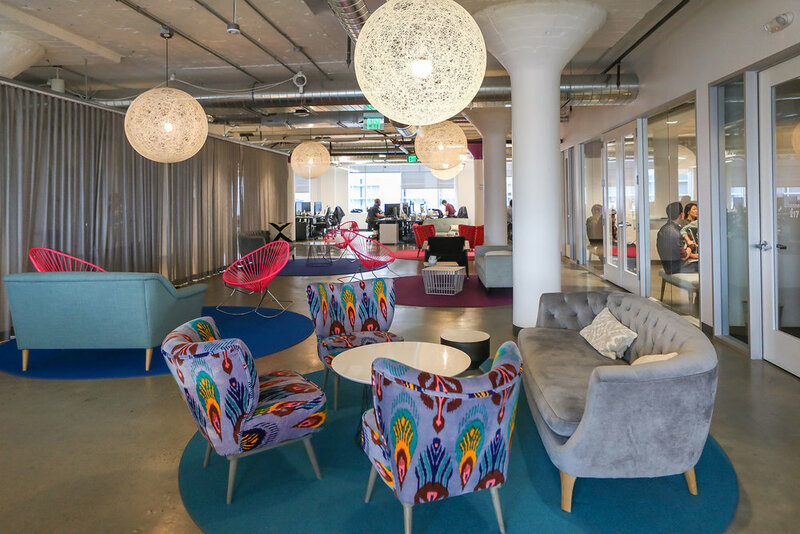 Your workspace plays a critical role in your company's identity. Interior images are great for your next investor pitch, social content, or talent recruitment. I can help showcase where it all happens. Every company has its own unique personality. Whether it be photographing a portrait of a Senior Executive or telling a story of how a sales team works together, my job at every shoot is to make sure I capture a company's culture and identity–what makes them distinct. Below are three recent shoots I've done that each have a different narrative to tell. They were all real individuals being photographed in their actual work spaces, a collaborative process that allowed me to authentically tell their stories. Shutterstock is a global marketplace for creativity with more than 100 million images available for sale. 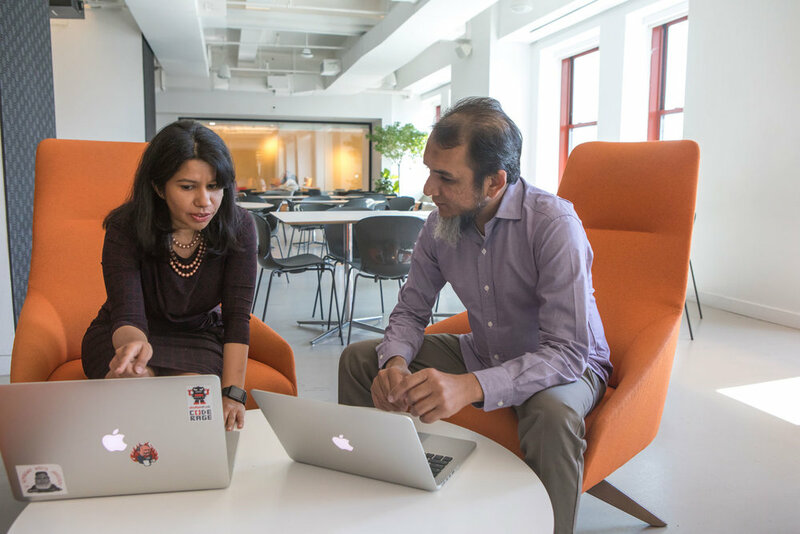 I worked with Built In NYC to shadow Directors of Engineering Rashi Khurana and Sultan Mahmood, captured their typical work day, and documented how they are using innovative new methods to streamline content management. We had free rein of the entire Shutterstock office, where they took me to some of their favorite spots to both work and unwind. Outcome Health advances society through technologies that change behavior to positively shape the human condition. Their in-house creative team is tasked with building content specifically for their platforms. I followed four team members to find out what makes their creative minds tick and how they produce exciting content that engages and inspires their customers. Doctor.com was founded with the mission of helping healthcare organizations deliver a better customer experience at every step of the digital patient journey. Organized chaos at its best. They are a true startup, where its sales team makes up the majority of the staff. Our shoot goals were to capture the energy of the sales floor and the undeniable chemistry they all have with one another.